Hello? 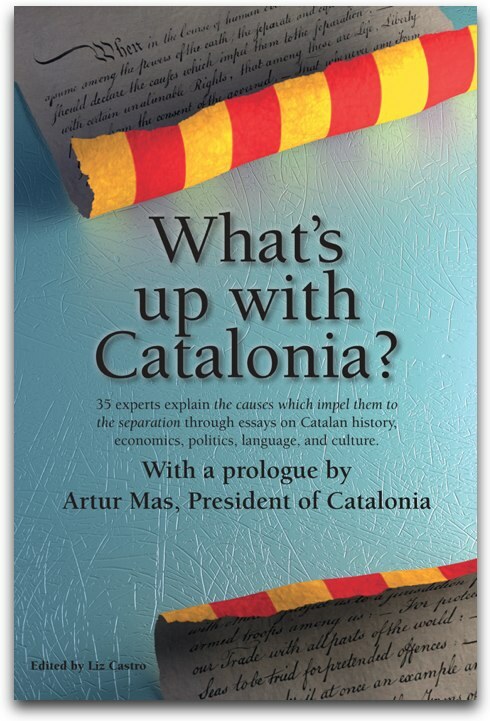 The problem is not Llanos de Luna [Spain's representative to the Catalan government]. The celebration the other day at the Guardia Civil barracks in Sant Andreu de la Barca, when the Spanish representative awarded a certificate to the "Brotherhood of Combatants of the Blue Division" [volunteers from Franco's army who went to fight with Hitler] was an official commemoration, not a private party at the representative's home. Indeed, it was a celebration with a strict protocol, a protocol that had been thoroughly vetted and which was carefully organized down to the tiniest detail, as is always done in such cases, part of which stated that at a particular moment they would proceed to the awarding of the certificate, and that among the recipients of such recognition would be the aforementioned Brotherhood. Not only that, I would dare to swear that this scene has played out hundreds of times since 1977 in barracks all over Spain. Because Francoism wasn't defeated by the Transition, it was amnestied. The renegade military. The torturing police. The judges of the Court of Public Order. The ministers and top leaders. Not a one was punished for their participation in Franco's criminal regime. Most of them, indeed, continued their work after democracy, and many prospered out in the open (Shall we make lists? It's not really necessary, is it?) The Falange was never prohibited. The Nazi salute and praising Franco's dictatorship are not included in any penal code. The avenues of the Generalísimo and the squares of the Fallen remain unchanged in the nomenclature. And the State awards financial grants to the Francisco Franco Foundation, year after year. In these circumstances, can someone explain to me why Llanos de Luna, her head of protocol, or the commander of the barracks in Sant Andreu de la Barca should find awarding a simple certificate to the Brotherhood of Combatants of the Blue Division at all strange? What was the Blue Division? One more piece of the regime to which in 1977 we awarded full amnesty. Are those fanatic volunteers who went to fight the communists with the Nazis any worse than the judge who condemned Puig Antich to execution and who if he wasn't too old would be still sitting on the bench to this day? Maybe this was the price that had to be paid, and that's surely what they have told us up until now. But whatever the case, the democracy we have had is a structure constructed on top of a huge, immense, dark immorality. That is the problem, not Llanos de Luna. We would do well to keep that in mind.